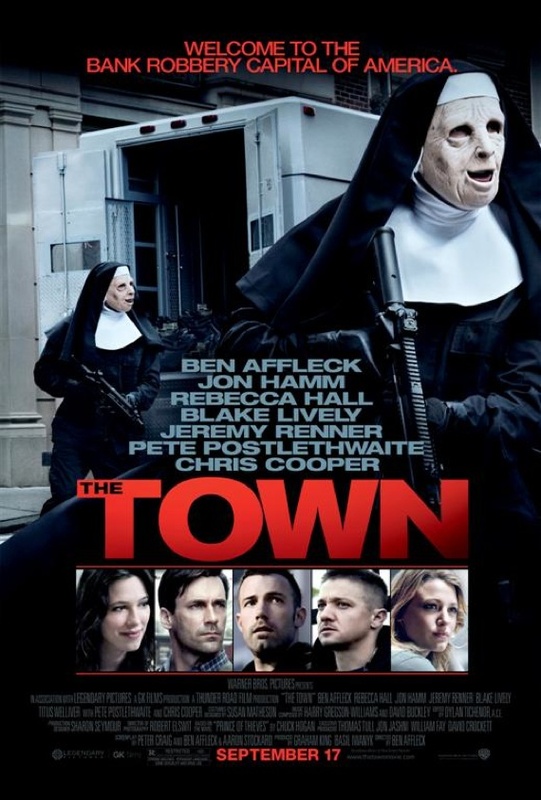 The night after my viewing of The Town, I had a dream that Jon Hamm was after me. It wasn’t a complex dream and I’ve mostly forgotten it, but I woke up feeling particularly tense. 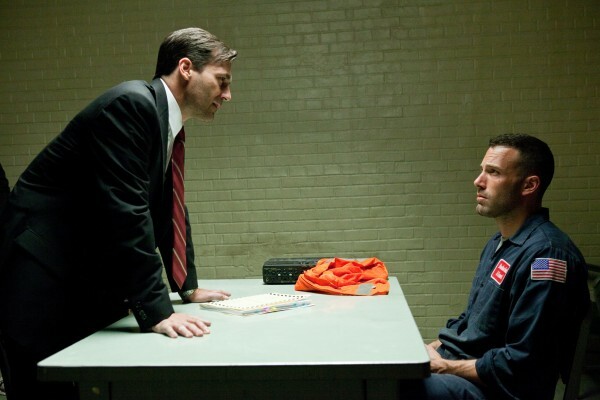 That dread feeling is what Ben Affleck‘s strongest film to date does so well; tension and anxiety and excitement, all are relevant adjectives for The Town, and all are present throughout. While Affleck may be a bit up-and-down as an actor, he seems to be finding a real niche as a director. Ben Affleck is Doug MacRay, the leader of a professional foursome of thieves. Their heists are flawlessly executed, even on the occasion when MacRay’s partner James (Jeremy Renner) loses his head. In hot pursuit of Doug and his boys is Special Agent Adam Frawley (Hamm). Despite his better judgment, and a glimpse at a future with the charming Claire (Rebecca Hall), MacRay can’t get clear of the claws of local don The Florist (Pete Postlethwaite), or the depth of his Charlestown roots. With his nomination, I assumed Jeremy Renner would be a scene-stealer, but the film’s biggest achievement is its ensemble. Renner is, as always, fabulous. He has a persistent restraint, a remarkable way of playing intense scenes at a slow-burn, and not just discharging his anger. Renner though, is hardly the key performance. Jon Hamm takes what could have been a rote “good guy” antagonist, and makes him a genuine villain. His Frawley is interested solely in bringing justice, and seems capable of literally anything to get at it. Meanwhile, plenty of smaller parts are delivered maximally. Blake Lively gets well outside of her comfort zone as a slutty addict; Postlethwaite is, as ever, a supreme talent and ominous creep; and Chris Cooper shows up for all of two minutes to steal a scene. As it turns out though, Affleck is perhaps the biggest surprise. Something about his performance here suggests he is finally coming into himself. A decade ago Affleck’s Doug MacRay would have been louder and sillier and more melodramatic, but here he is disciplined and subtle, and in complete ownership of one of his best roles. After The Town, it’s clear that Ben Affleck is on the rise. Though perhaps a bit long in coming, maturity seems to have arrived in time to make him a genuinely exciting filmmaker.